SKU: N/A. 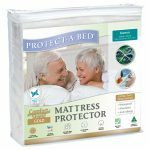 Categories: Mattress Protectors-Waterproof, Bed Wetting/incontinence Protectors. 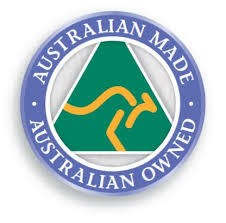 The perfect solution for toilet training, incontinence and mums to be. No need to change your entire bed if an accident occurs. Easy to fit and use. Simply place the Bedwetting and Incontinence Linen Protector across the top of the sheets and tuck ends under the mattress. 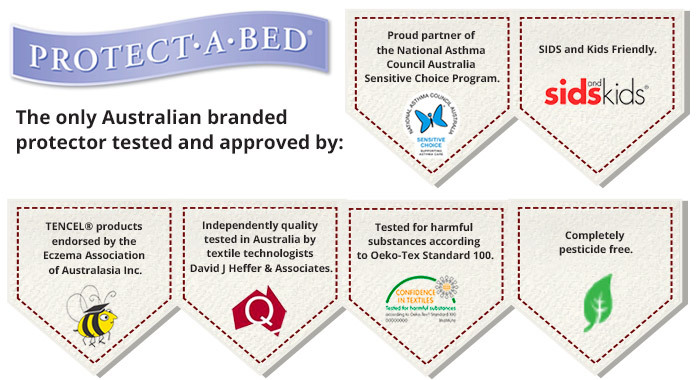 The Bedwetting and Incontinence Linen Protector is a soft absorbent terry towel top and back surface, sandwiched with our waterproof & breathable miracle membrane and come in single & partner sizes. 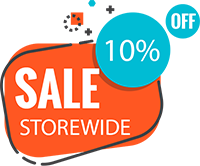 For more info and waterproof protectors please scroll down page. No need to change the entire bed when an accident occurs. The Bedwetting and Incontinence Linen Protector is easy to fit and use. Simply place the Bedwetting and Incontinence Linen Protector across the top of the sheets and tuck ends under the mattress. Waterproof, absorbent, breathable, hygienic and anti-allergy. The perfect solution for situations requiring waterproof protection including bedwetting, toilet training, incontinence problems also mums to be. 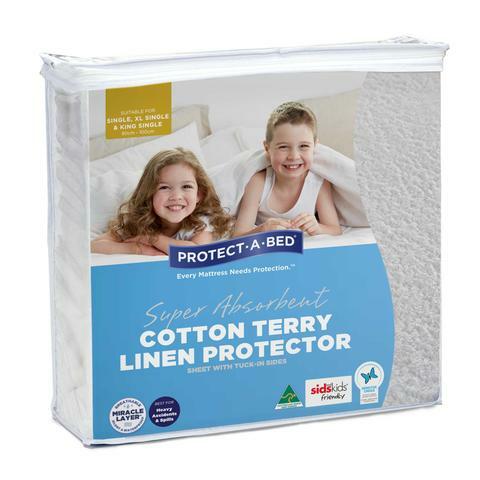 The Bedwetting and Incontinence Linen Protector is made from a durable yet soft double sided super absorbent cotton terry towelling, the waterproof membrane is layered in between the terry towel sides, to keep the sheets waterproof while remaining breathable. 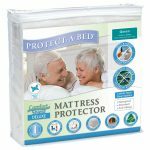 The Bedwetting and Incontinence Linen Protector is also available for adult partner protection, placed down one side of the bed in a vertical position. This is a great product. The 2nd day after using the sheet protector my daughter wet the bed the in the middle of the night. Thanks to your sheet protector all I had to do was remove the wet protector and replace it with a clean one, Ime glad I bought 2. There was no need to change the sheets. Very happy.